Understanding your customers’ reimbursement outlook is critical. The HIDA Medicare 360: 2019 Medicare Reimbursement Report compiles all the information you need, packed with insights on Medicare’s payment adjustments, quality programs, as well as key trends and issues. 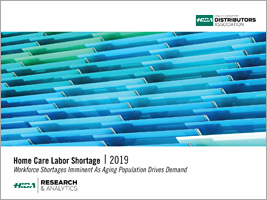 The report provides a policy outlook for all markets as well as detailed analyses and primer for the Medicare program as a whole. 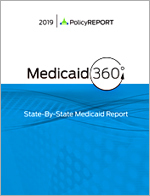 HIDA’s 2019 State-By-State Medicaid Report gives a comprehensive and current overview of the critical Medicaid trends to follow: a state-by-state look at the fiscal year (FY) 2019 budget allocations, changes in expansion, state decisions on health insurance exchanges, enrollment statistics, Medicaid expenditures from fiscal year 2016, and key Medicaid developments. Readers of this report will come away with a better understanding of the current status of each state’s Medicaid program. The 2018 Physician Office Market Report focuses on the growing challenges and opportunities within the evolving market. 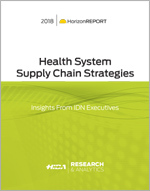 The 2018 Laboratory Market Report looks at market growth and opportunities across major market segments; including hospital labs, physician office labs, and reference labs. The report also examines clinical trends including molecular testing, genetic testing, and companion diagnostics. 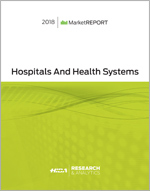 The 2018 Hospitals And Health Systems Market Report (formerly Acute Care) provides analysis of market trends and reviews the impact of legislative changes on industry outlook. The 2018 Ambulatory Surgery Center Market Report covers the industry-wide shift in surgical procedures from inpatient to outpatient settings. After buying a PDF, sort by Order Number or Description to download your purchase/s.